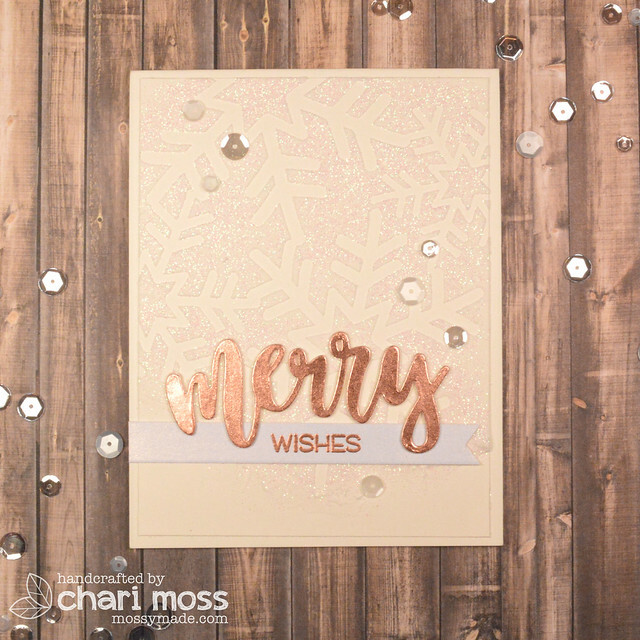 This is gorgeous Chari - love the subtle effect with the stencil. 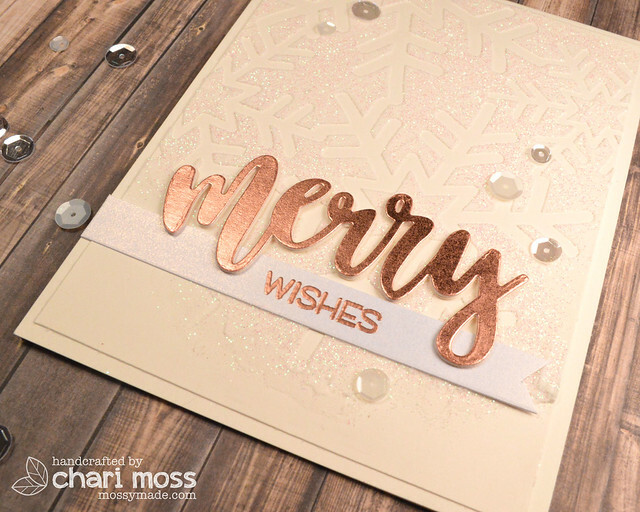 you had me at "snowflakes" Iove how subtle yet sparkly they are :) So happy we are doing this each month!! 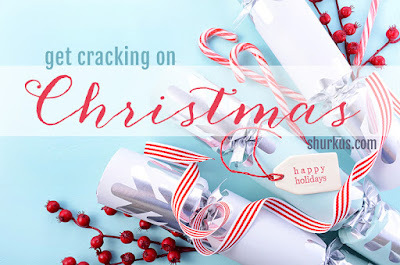 You designers have inspired me! What a great idea to get crackin' on Christmas NOW!! 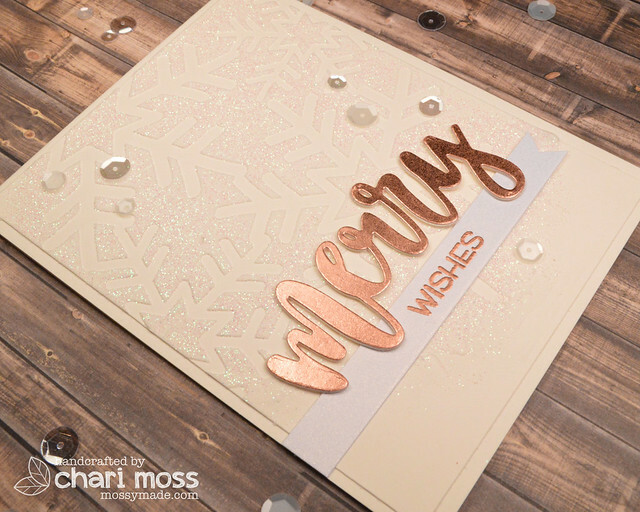 This tone-on-tone card is so lovely, with the subtle snowflake in the background and that stunning coppery sentiment!